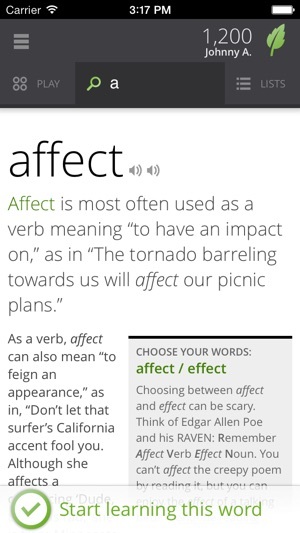 Ultimate app for mastering Vocab!! I've never been more satisfied with any other paid app. 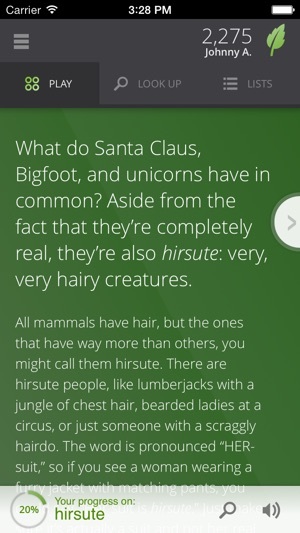 This is an app, which is 100% worth it's money. 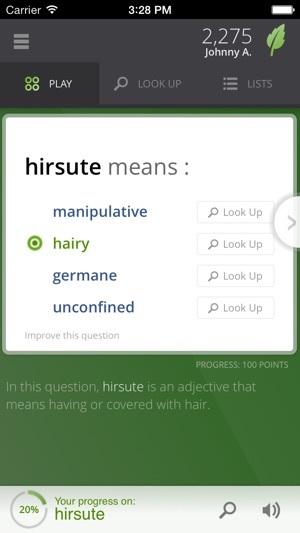 I'm a logophile..I love learning words. 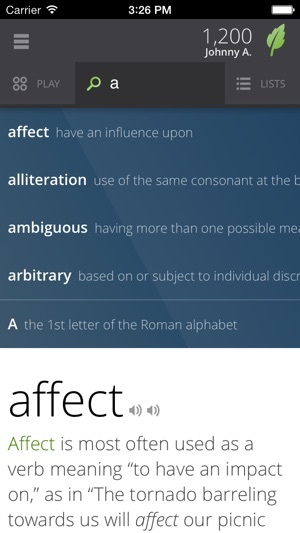 Believe me, this is the best app for mastering your Vocab. No words will be sufficient to completely describe how satisfied I'm with this app. Kudos to the Developers of this app!! Some of my dream improvements over the current app... (1) if there was some provision to chat with other users of this app, it would have been simply mind blowing.. I personally would love to message the current highest point leader "Geeta R.". My God, how she scores so high so fast? Does she have a super computer? (2) If a link is provided to search "Google image" for the word under study, it will be great fun. After all, a picture is worth a thousand words. (3) A "favourite" button to add the words to your list will be much appreciated. Nevertheless, I wish to express my gratitude to the developers of this app! My quest for the ultimate Vocab learning device has ended with this!!! 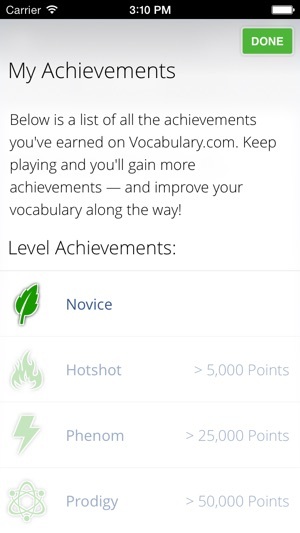 Very good app for mastering vocabulary, continuously gives new words which always puts you on the edge but it shows a fun way of learning by giving points which challenges you to other people on the leaderboard, which gives you a overall better approach to vocabulary. 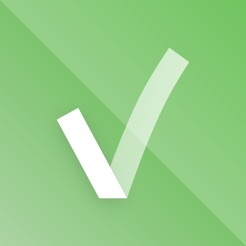 Overall this app is excellent and I recommend you to use it totally worth your money. The app is great and has made a real difference to my vocabulary. I have tried many things but wasn’t able to stick with them. This app has me hooked and I have been learning easily. A feedback I have for the team is to add new functionalities. For example, I can’t add a searched word to one of my lists, something I can do easily through the website.